By Anthonet Baijense, MSc-student International Development Studies (Research Master Variant). Currently, I stay in Romania were I will spend my summer to learn the language, visit friends, do some traveling and last, but most importantly: to gather data for my master thesis. I am pleased to write once and a while about my experiences and research here and I hope you enjoy to read it! Some students visited Romania last February as part of the Intensive Programme, and wrote some blogs with their reflections: e.g. on Traditional food. It was very nice to read about your experiences! Indeed, the Romanian saying goes that ‘my favorite vegetable is meat’ and for a vegetable freak as me, it was a change of diet! Amazing what people here eat for breakfast! It took me some time to get adapted! I stay in the North of Romania, in the district called the Maramureş, which is on the border with Ukraine. Because traveling around here is –let’s just say- complicated, my research focuses mainly on one village: Poienile Izei (see photo’s). Let me now introduce you to my research as well. 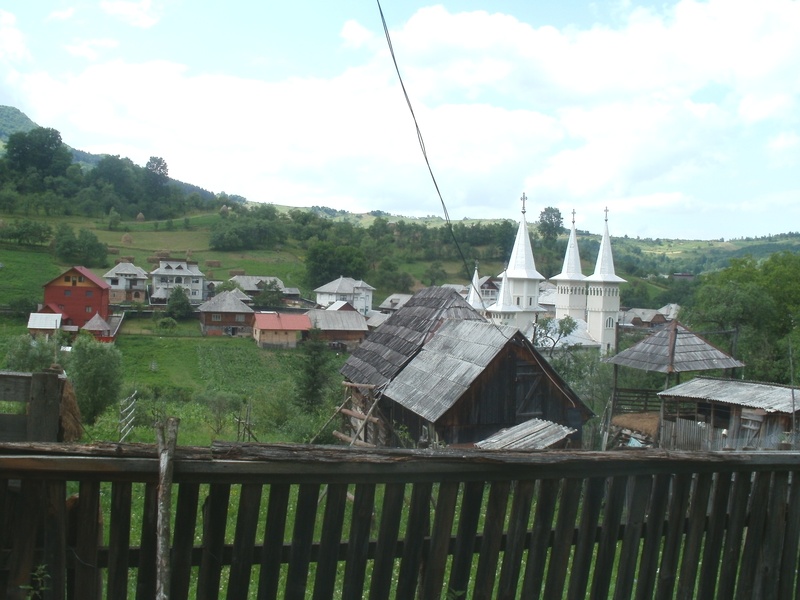 If you go on Google to find some pictures of the area where I stay, you will gain the impression that the Maramureş is indeed –as often described- a rural area overflowing of traditions and with a traditional style of life and architecture. Actually, the landscape that I see every day is very different from the one you will find on the internet: a landscape which is ‘urbanizing’, i.e. new houses are build in a totally different style than the social constructions of the Maramureş’ identity make us belief. In the official representations of the Maramureş, the region is aggressively portrayed with tags as “a living museum”, “the heart and soul of rural Romania”, “picturesque countryside” and “visitors to Maramureş have a unique opportunity to step back in time and bear witness to simpler times and simpler lives”. The presence and opinions of people and houses that represent the desires for a totally different style of building and living are effectively kept out from formal representations. Nonetheless, the lack of rules and regulations regarding building facilitate the creation of new styles and this results in a mixed, chaotic landscape in the Maramureş. Meanwhile, the old houses which are said to represent the identity of this region are disappearing quickly. Interesting is that here not only people travel around the Maramureş, the landscape itself is at the move! The old traditional houses are easily taken apart and rebuild somewhere else and as such the houses travel all over the Maramureş, a practice mediated by actors as museum operators, house collectors and tourism investors that build ‘traditional’ vacation parks. Besides, the houses are as well deconstructed and exported as ‘fire wood’, either to end up as houses for collectors of traditional houses, as fire wood indeed, in ethnographic museums, as luxury wooden floors in Italian villa’s, etcetera. Migration of people is as well very connected to the change of the landscape, while both labor migration and tourism investments contribute to the construction of a broad variety of new landscape elements, including large houses, ‘Maramureş’ styled pensions and vacation parks. I am studying this material and discursive (re)construction of the landscape by focusing on three groups of actors and their practices in relation to landscape transformation: migration, tourism and cultural heritage protection. These practices are all directly related to the creation and functioning of place-networks (i.e. globalization). I hope to unravel how these networks of places relate to the transformation of the landscape in both material and discursive sense. As such, I hope to contribute to a relational understanding of place and place-making: how are places remade in this contest over the identity of place and its translation to material realities. Besides, I hope to contribute to the understanding of how globalization (as a force between places, with embodiment in human and non-human actors; rather than as an abstract force ‘from above’) reconstitutes rural areas. It goes beyond the scope of this contribution to describe my research and findings so far, but I hope to write about this another time. I hope you enjoyed to read my small contribution to RSO’s great weblog! 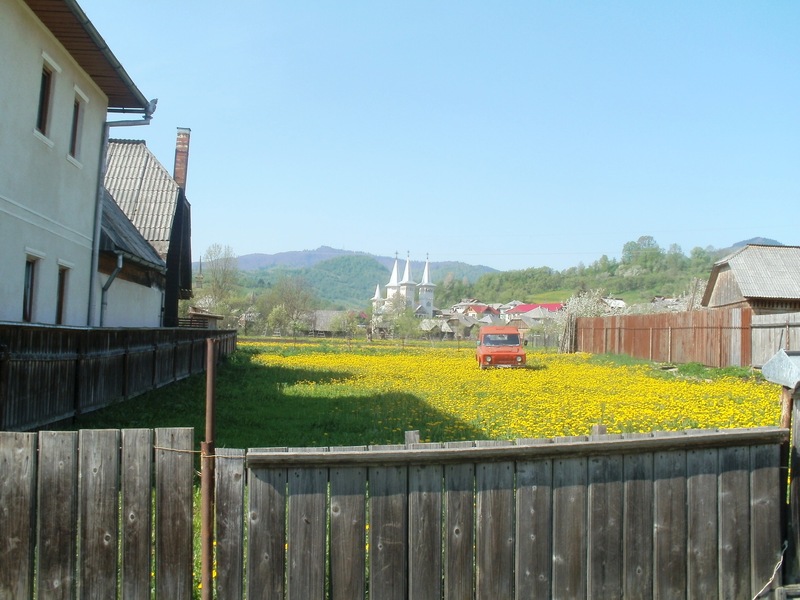 This entry was posted in Regional Development, RSO-student, Rural Development and tagged Globalization, Muramures, politics of place making, relational approach to place, Romania by RSO-Students. Bookmark the permalink.